Hormones get a bad name. Many people I talk to these days seem to only think of menopause when it comes to hormonal imbalance—but hormonal changes can affect everyone from children to seniors. When it comes to menopause, however, women can experience it as early as 40-years-old. When a woman ages, there is an absence of active follicles—the cellular housing of the eggs in her ovaries. The adrenal glands respond to menopause by making the precursor hormones called dehydroepiandrosterone (DHEA) and pregnenolone, which are converted into the hormones testosterone, progesterone, and estrogen. There is a decreased production in progesterone and estrogen. The estrogen drop will lead to an increased secretion of the luteinizing hormone (LH) and follicle-stimulating hormone (FSH) by the pituitary gland. 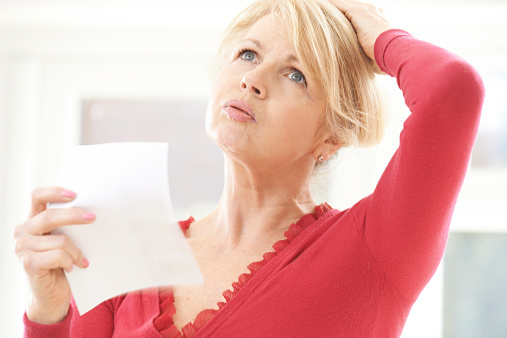 As a result, common menopausal symptoms occur, such as hot flashes, headaches, heart palpitations, and mood swings. Besides menopause, other potential causes of hormonal imbalance include women who are pregnant or going through their menstrual cycles. The contraceptive pill, better known as the birth control pill, will also have a negative effect on testosterone long after a woman stops taking the pill. However, lifestyle also plays a big role for those with hormonal imbalance problems. Lack of exercise, a poor diet, stress, and inadequate sleep can also contribute to hormonal issues. Luckily, there are plenty of ways to naturally balance hormones through foods and dietary changes, sleep pattern alterations, exercise and other stress reduction techniques. But, what are hormones in the first place? They are powerful messengers that control and direct every function in the body, and influence cellular activity. They travel through the bloodstream and into the tissues and organs. Endocrine glands will directly secrete hormones into the bloodstream. The major endocrine glands include the adrenal glands, thyroid, pancreas, thymus, pituitary, and pineal. Women produce hormones in their ovaries, while men produce hormones in their testes. Over time, they affect various processes in the body such as sexual function, reproduction, growth and development, mood, and metabolism. For instance, adrenal fatigue will result when hormones like cortisol, aldosterone, and adrenaline are out of balance. DHEA, growth hormones, and testosterone deficiencies are also common in seniors with insomnia. When there is an imbalance of hormone levels, the result can be messy. Other hormonal imbalance causes include thyroid disorders (e.g. hypothyroidism), diabetes, impaired liver function, and intake of xenoestrogens. Xenoestrogens are chemicals that mimic the effect of estrogen, and attach to estrogen receptors. In turn, there is interference with normal hormonal signaling to create hormonal imbalance. How do you know if your hormones are balanced? Anyone with symptoms of hormonal imbalance should consider being tested for all hormones. There are several ways to test for hormones (i.e. urine and blood tests), but the best method is a saliva test since it measures active parts of the hormones to help determine hormonal imbalances. The major hormones tested in a saliva test include estrogens, progesterone, dihydrotestosterone (DHT), cortisol, DHEA, testosterone, estriol, and estrone. It is a good idea to remove all possible xenoestrogens to help take control and balance hormones. Xenoestrogens can be found everywhere, including beef and dairy products, cosmetics, shaving creams, makeup, shampoos and conditioners, household cleaning supplies, bleach, fabric softeners, pesticides (i.e. fungicides, herbicides, and insecticides) and synthetic estrogens. It is best to limit the use of plastics since they contain the xenoestrogen bisphenol A (BPA). Even regular tampons can contain xenoestrogens called dioxins. Fat consumption is essential for hormone production; however, the type of fat is just as important. It is best to avoid omega-6 heavy oils such as canola, soybean, peanut, safflower, corn, and cottonseed oils. That being said, studies have found that a type of omega-6 called gamma-linoleic acid (GLA) can help naturally balance progesterone levels. GLA is found in hemp seeds, borage oil, and evening primrose oil. A study published in the Iranian Journal of Basic Medical Sciences found that omega-3 essential fatty acid supplementation helped balance FSH and testosterone in female rats induced with polycystic ovary syndrome. The best omega-3 foods for hormonal imbalance include ground flaxseed, wild fish, chia seed, walnuts, and cauliflower. Adequate sleep can also go a long way in a hormonal imbalance treatment. For example, the stress hormone cortisol is regulated at midnight. When people go to bed late, the sympathetic flight or fight stress response occurs. There is also a link between sleep and testosterone production. Peak testosterone levels coincide with the sleep onset of rapid eye movement, while nocturnal testosterone levels will rise during sleep and decrease from waking. Getting at least seven to eight hours of sleep will help correct hormone imbalance. Short sleep times are associated with weight gain, reduced insulin sensitivity, reduced oral glucose tolerance, and an increased incidence of type 2 diabetes. Limiting your caffeine intake is also associated with balancing hormones and better sleep quality. Lack of sleep will increase your cortisol levels and decrease thyroid hormone levels. Exercise and stress reduction are important for hormonal balance whether you are male or female. It is interesting that intense extended exercise, while beneficial in most situations, can actually be bad for those with hormone imbalances. It is a better idea to focus on relaxing exercises like swimming or walking, and avoid extended running or cardio exercises while your hormones are imbalanced. Short bursts of heavy weight lifting can also help balance hormones. Resistance exercise like weight lifting has been found to produce a significant acute hormonal response. In particular, anabolic hormones (i.e. growth hormones and testosterone) have been shown to increase 15 to 30 minutes after exercising. Other exercises that help reduce stress and maintain hormone balance include yoga, tai chi, qigong, and meditation. Phytotherapy is the use of plants for healing purposes, especially in regards to hormonal balance. Black cohosh is considered the herbal powerhouse for women for correcting hormonal imbalance. It is used to alleviate menopausal symptoms and it can mimic hormone function. Saw palmetto is considered very helpful to correct hormonal imbalance in men. Since saw palmetto is a weak 5-alpha-reductase inhibitor, it can reduce the conversion of testosterone to DHT. It may also reduce the numbers of DHT and estrogen receptors. Other herbal remedies used to balance hormones naturally include vitex (chasteberry), kudzu, red clover, wild yam, dong quai, black haw, cramp bark, black currant, devil’s club root, yarrow, sarsaparilla, sage, peony root, liferoot herb, oats, catuaba bark, horny goat weed, muira puama, shilajit, groundsel herb, and a blue passion flower extract called chrysin. Adaptogens should also be included in the conversation of herbs that balance hormones naturally. Adaptogens help combat stress, improve thyroid function, support the adrenal glands, stabilize blood sugar, and reduce depression and anxiety symptoms. Maca root is an adaptogen with noticeably potent hormone balancing benefits, including improving fertility and sexual function, improving sleep quality, and reducing hot flashes associated with menopause. People also take maca to improve mood and energy levels. A 2006 study published in the International Journal of Biomedical Science found that pre-gelatinized organic maca may be valuable for balancing hormone levels such as estrogen, FSH, progesterone, and adrenocorticotropic hormone (ACTH). It also helped relieve perimenopausal symptoms such as sleep problems, night sweats, hot flashes, heart palpitations, depression, and nervousness. Other adaptogens that help with hormonal balance include holy basil, ashwagandha, gotu kola, ginkgo biloba, astragalus root, American ginseng, licorice root, reishi mushroom, cordyceps, chaga, shiitake, suma, tongkat ali, tribulus terrestris, and rhodiola rosea. Leaky gut syndrome, also known as intestinal permeability, produces unsettling symptoms such as gas, bloating, cramps, and food sensitivities. Leaky gut not only interferes with your digestive tract, but it also causes hormonal problems and targets your thyroid in particular. People with thyroid problems and digestive issues would benefit from a high-quality probiotic supplement to help balance gut bacteria. The best foods that support digestive health include high-fiber vegetables, kefir, bone broth, and fermented vegetables, like sauerkraut. Extra virgin coconut oil helps balance hormones naturally. It contains medium-chain fatty acids that promote thyroid function. Coconut oil also helps speed metabolism, promote weight loss, boost immunity, and stabilize blood sugar levels. It is a good idea to consume two to three tablespoons of extra virgin coconut oil each day for around three months. Quinoa contains important dietary estrogens or phytoestrogens called lignans. Quinoa also contains other important nutrients that help balance hormones such as vitamin E, zinc, and magnesium. Besides quinoa, other clean protein sources can help balance hormones such as organic eggs from grass-fed, cage-free, and pasture-raised chickens. Egg yolks contain high-density lipoprotein (HDL) cholesterol, which the body uses to create hormones. Studies show that beetroot juice can balance hormones and boost stamina. Beetroot or beetroot juice is considered a great methylator since it contains dimethylglycine. Dietary methylators also help treat breast, testicular, ovarian, or reproductive diseases. Nuts and seeds are also great foods for hormonal imbalance. For instance, almonds increase levels of the hormone called adiponectin, which helps with blood sugar regulation. Pumpkin seeds and flaxseeds are also high in lignans, which block excess estrogens. Sunflower, sesame, and pumpkin seeds are also high in zinc, which supports the immune system and promotes hormone production. Organic butter and clarified butter (ghee) can also help balance hormones naturally. Ghee and organic butter contain key building blocks for hormonal production such as the fat-soluble vitamins A, D, E, and K2. Ghee is a healthy fat that contains cholesterol that is important for hormone production. Extra virgin olive oil is a monounsaturated fat that helps balance hormones when included as part of a regular diet. Extra virgin olive oil is known to stimulate the release of the appetite-suppressing hormone called leptin. Avocados are rich in several hormone-balancing nutrients such as folic acid, vitamins B and E, folate, potassium, magnesium, and fiber. Avocados also contain healthy monounsaturated fats. Avocados also contain plant sterols with anti-estrogenic properties like beta-sitosterol. Basically, the beta-sitosterol in avocados can block estrogen receptors. At the same time, the testosterone levels in men and progesterone levels in women are increased. Several herbs and spices are also used for hormonal balance, including garlic, parsley, cinnamon, cayenne pepper, ginger, cumin, dill weed, fennel seed, lemon grass, saffron, peppermint, spearmint, and turmeric. Wild salmon is another great food that helps balance hormones. The omega-3 in salmon is a useful building block for cholesterol and hormone production. Salmon also contains other useful nutrients to balance hormones naturally such as omega-3 fatty acids, zinc, and magnesium. Important nutrients that can help balance hormones include vitamin D3, soy protein powder, adrenal glandular extract, zinc, natural progesterone cream, and supplementation with DHEA and pregnenolone. “Salivary Hormone Testing,” Labrix web site; https://www.labrix.com/SalivaryHormoneTesting, last accessed October 15, 2015. Kelly, M., “48 Foods To Balance Your Hormones & Give You Glowing Skin,” Mind Body Green web site, January 24, 2014;http://www.mindbodygreen.com/0-11983/48-foods-to-balance-your-hormones-give-you-glowing-skin.html. Shatzman, C., “6 Foods That Balance Your Hormones Naturally For Younger-Looking Skin,” Prevention web site, July 13, 2015; http://www.prevention.com/beauty/hormone-balancing-foods-better-skin. Mandal, A., “What are Hormones?” News Medical web site; http://www.news-medical.net/health/What-are-Hormones.aspx, last accessed October 15, 2015. Meissner, H.O., et al., “Therapeutic Effects of Pre-Gelatinized Maca (Lepidium Peruvianum Chacon) used as a Non-Hormonal Alternative to HRT in Perimenopausal Women – Clinical Pilot Study,” International Journal of Biomedical Science, 2006; 2(2): 143-159. Balch, J., et al., Prescription for Natural Cures: A Self-Care Guide for Treating Health Problems with Natural Remedies Including Diet, Nutrition, Supplements, and Other Holistic Methods (Hoboken: John Wiley & Sons, Inc., 2004), 389-395. Murray, M., N.D., et al, The Encyclopedia of Natural Medicine: Third Edition (New York: First Atria Paperback, 2012), 781-795. Pick, M., “Phytotherapy – The Key to Hormonal Balance?” Women to Women web site; https://www.womentowomen.com/hormonal-health/phytotherapy-the-key-to-hormonal-balance/, last accessed October 15, 2015. Ouladsahebmadarek, E., et al., “Hormonal and metabolic effects of polyunsaturated fatty acid (omega-3) on polycystic ovary syndrome induced rats under diet,” Iranian Journal of Basic Medical Sciences, 2014; 1792): 123-127. “9 Tips to Help Balance Hormones,” Wellness Mama web site; http://wellnessmama.com/5425/balance-hormones/, last accessed October 15, 2015.